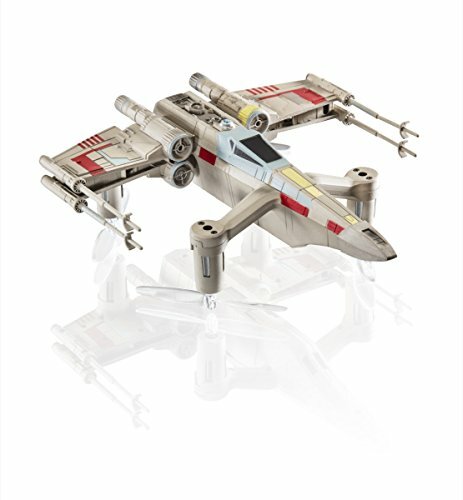 These drones seem like one of those expensive Star Wars branded merch, however you can’t be further from the truth! 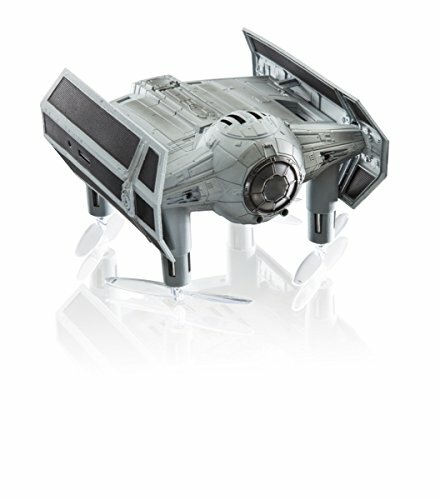 The current price is absolutely small for the amount of detail these drones come with. The packaging is absolutely incredible, coming with music, lights and so on. The transmitter is very high Quality and even has music playing within, making the experience very immersive. Ease of use is quite important when it comes to letting a kid fly a drone. So make sure the controls are simple to understand. The scoot drone is as intuitive as it gets, no controller needed. Just push it in the direction you want by using the sensors. Flight time can be especially important when it comes to kids toys, as it’s going to be annoying for the little one to only have a short taste of how it’s like, insead of properly playing for at least a few minutes. The Propel Star wars drone range somewhere between 7-8 minutes per flight. But that’s pretty good, as they also come with a spare battery. Charging time is important mainly when there isn’t the option to buy spare batteries. Propel drones can be charged somewhere under an hour. Drone safety is one of the things every parent should take a look at, for obvious reasons. Usually Prop guards and smaller drones are recommended for kids. 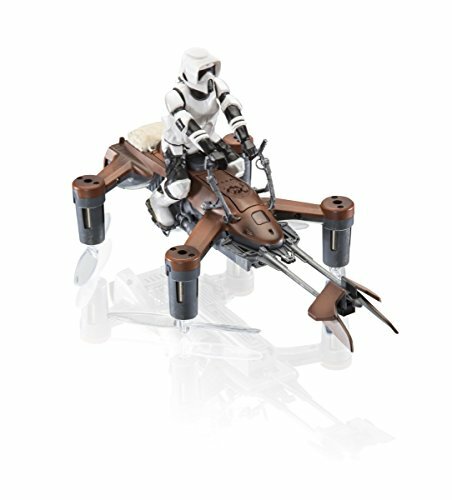 When it comes to safety, these Star wars drones do compromise a bit, as they are made to look as much as possible like the original models. But you do have the option for prop guards in the box. The transmitter is of utmost importance, especially when it comes to how simple it is to start flying and how responsive the controls are. The propel drones have a really cool hobby grade transmitter that also comes with an included speaker and even a headset port. Each of these are well under $50, which is amazing for what you’re getting in the package. You can also get the three of them and enjoy fighting with your friends or simply hang them somewhere to look cool. Here’s a daily price history, so you know if now is the right time to buy it. If you want to wait, please enter your email down bellow and you’ll be automatically notified when the price drops to your desired level. The transmitter has really good working sticks, compared to most toy drones currently. It’s also quite specially made with an included speaker inside that will put you in the star wars mood. You can also go silent if you want. But it’s pretty nice when you hear R2D2 guide you how to put the batteries in. There’s even one screwdriver insderted in the side of the controller, which is a nice touch.. The sound effects are really high quality and there’s even headphones jack, which is a very impressive touch. In the image bellow you can see the unboxing experience in the past, with really cool lighted boxes and even sounds playing. However Propel decided to change the price from $129 to under $50 and make the package a bit more boring. I would say this is a pretty good move, as it makes the drone very well priced and much more accessible. Now the box looks more basic, yet still high quality. Everything comes in well labeled black boxes inside and everything from the spare parts to even the manual have a high quality feel to it. The drone is almost worth it as a collectors edition toy, but the fact that it actually flies well is almost a bonus lol. It’s super impressive for kids to see a little man hover around them and even do flips from time to time. The three speed modes make it pretty fast to fly around even in some wind. It’s not the absolute most agile flier, but I had a lot of fun with it. Bellow you can check my top drones in the same price category. Please use the “Add to compare” button and then press on the icon on the right to compare them. Very high quality build for a low price! Do you want to pay less for drones like this? Yes, show me how I can save up to 34%! I'll mail you once a week with the best​​​​​ coupon codes and drone offers that week ( I hand pick the best drones myself) and no spam! Help me get my drone cheaper!